Author: Dr. Xanthe Mallett Publisher: Edbury Press and Randon House Australia Pty Ltd. 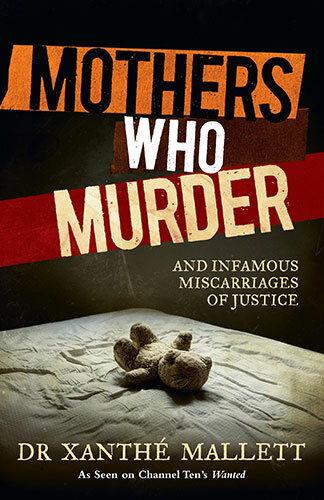 Copyright Year: 2014 ISBN: 978 0 85798 380 0 Review By: Suzanne Bozorth-Baines Book Synopsis: Child murder: A social taboo and one of the most abhorrent acts most of us can imagine. Meet the women found guilty of murdering their own children.